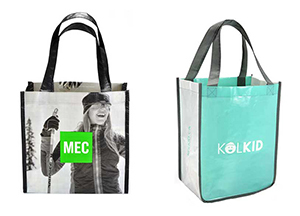 Custom reusable bags are available in any shape and size with a myriad of print and finishing options – from 1 colour to full colour process print, with matte or gloss lamination, special handles and features, the possibilities are endless! 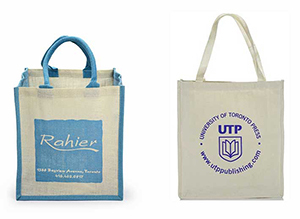 Whether it is to elevate your brand or for promotional purposes, we have the right bag for you! 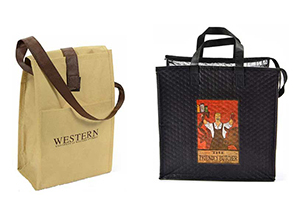 We offer custom reusable bags for every purpose and every occasion – shopping bags, grocery totes, wine bottle bags, lunch bags, trade show bags, book bags, cooler bags, folding tote bags. We have been manufacturing reusable bags out of natural and man-made materials for many years and are experts at doing it. Well known retailers value our quality and attention to detail. PP woven & non woven are the most popular and most widely used man made materials for reusable bags. These bags are strong, durable and washable. An attractive design, adding lamination, and other features such as webbed handles, snaps, or maybe grommets , will ensure that your bags will be used over and over again and act as walking billboards. Care about sustainability? 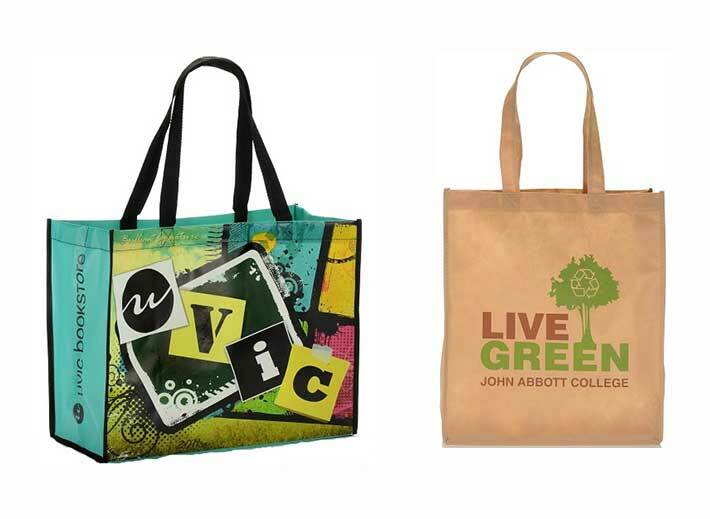 Why not chose custom reusable bags made from RPET – a material made out of recycled soda bottles. Our RPET bags are stylish and 100% green. Cotton Canvas & Jute Totes are made from renewable sources and are therefore environmentally superior. They are recyclable, bio-degradable and have a minimal carbon footprint. They can be printed up to 8 colours and are the preferred choice for many customers who are deeply concerned about the environment. For each type of custom reusable bag, there is a different minimum order quantity. Quantities start as low as 3,000 but may vary depending on the finish and intricacy of the design. We invite you to request a price quotation or contact us now. Please call 416-739-1818 or 1-877-723-5701 or email us today. most of our in-stock reusable bags. You will likely be surprised by the variety of affordable options.